Mr. Chesterton's long essay on eugenics and other evils was written in 1922, just a few years after the close of the 'Great War.' This war was not yet known as World War I, and it could not then be imagined that a greater calamity could be possible. Chesterton ends with the acidic observation that if his readers don't believe how toxic materialistic philosophies are, "neither would they believe though one rose from the dead." 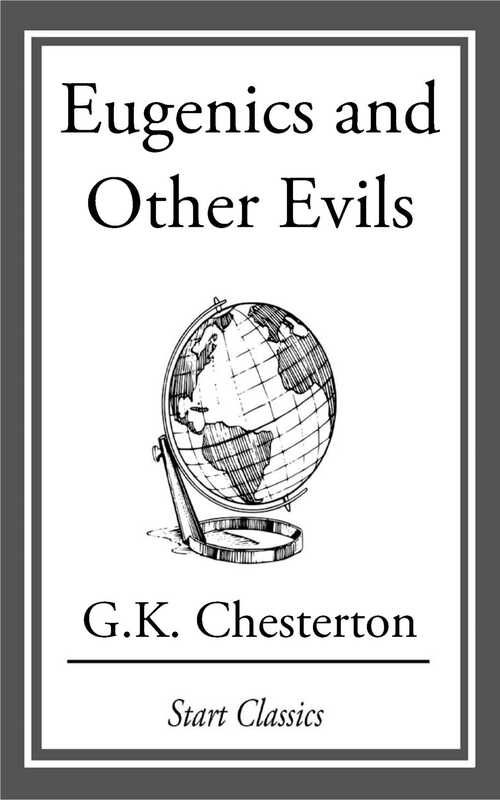 Prophetic; Chesterton would die in 1936, a few short years before the horrors of World War II, carried out once again by the hands of those who rejected Christianity and embraced a secular humanism grounded in atheistic evolutionary theory. This deserves our careful consideration, and no author demands it with such wit, humor, and intellect.